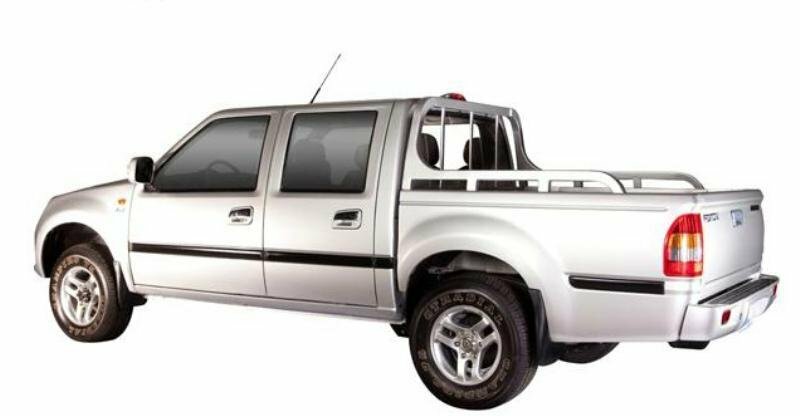 The Foton Blizzard is a no nonsense pickup launched in 2007. The vehicle was designed to withstand the punishment of harsh jobs without backing down and to do it with minimum costs. There is no secret that the Foton Blizzard isn’t as upscale as its Japanese or American rivals, but it not as pricey either, being the cheapest pickup in its class. Needless to say, that it also comes with small costs of ownership. The Blizzard is based on the old Isuzu Fuego, after Foton has acquired some of the tooling from Isuzu. 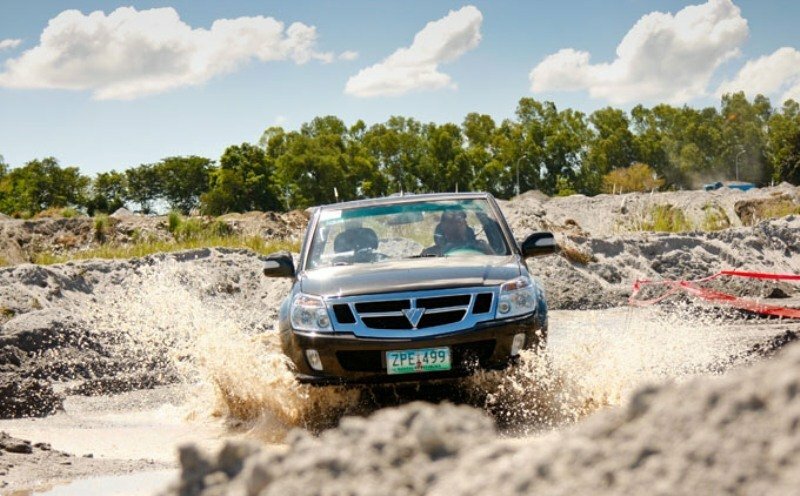 The vehicle is available in both 2WD and 4WD configurations and it’s powered by a 2.8 liter turbo diesel engine. The Foton Blizzard has a gross vehicle weight of 2370kg and offers a maximum payload of 1000 kg. The Foton Blizzard comes with a pretty dull design and doesn’t want to catch too much attention. After a fast glance, you’ll instantly recognize the Fuego’s influence. The front end however is completely new, but we can’t say that we’re impressed by the result. 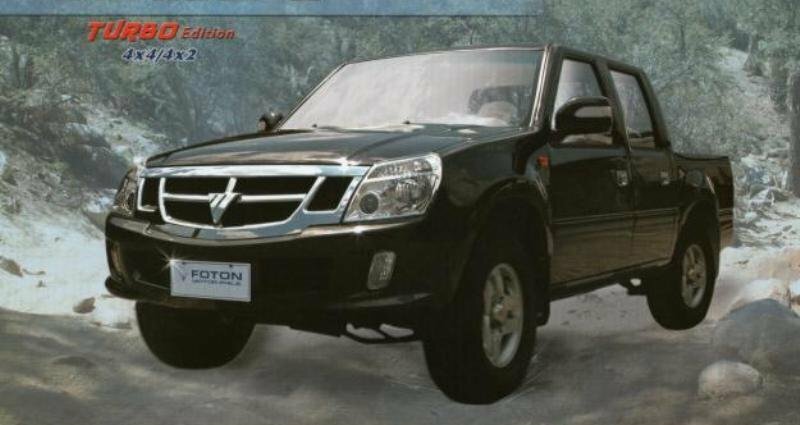 Foton tried to give the grille a catchy design, but it has Chinese style written all over it and the heavy chromed treatment makes things even worse. The big lights however, look pretty imposing and underline the rugged character of the truck. The bumper is pretty nice as well and it’s fitted with a set of vertical fog lamps and two wide air intakes. The bonnet has a clean design and it received two long creases which converge toward the shiny grille. The side body panels have a robust design which is enhanced by the flared wheel arches. Step inside and you’ll find a pretty cavernous interior with a lot of cheap plastics and third class materials. At least there is plenty of space and you won’t complain about leg or head room either. The build quality is also doubtful with big panel gasps and all over the place, yet everything looks lasting and the fittings are solid. In the end, the spartan cabin looks like it was engineered to always remind you about the utilitarian nature of the truck (and also about its cheap price). We don’t have any complains about the grey looking plastics as this shade is perfectly selected to hide dirt and dust. 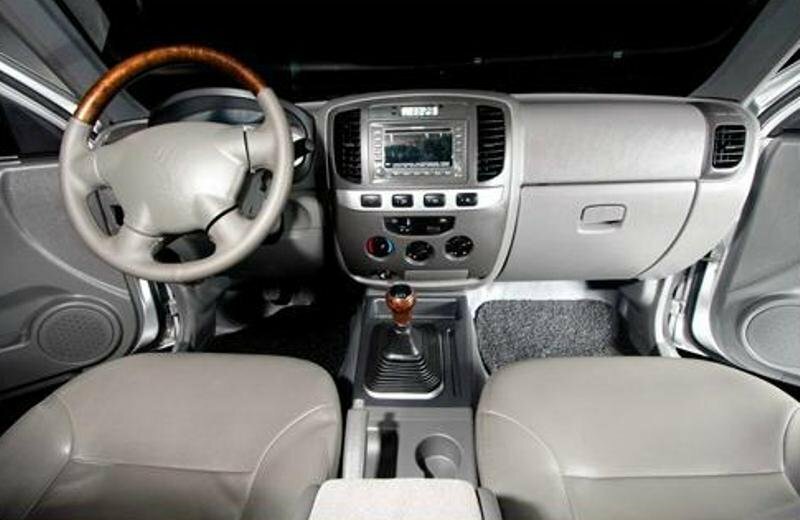 On the other hand, the faux wood trim spoils all the fun and looks horrible, enhancing the cheap look of the cab. The seats are reasonable and offer a pretty good support for both short and long trips. There are also a few adjustments to help you find a better driving position, but they could’ve come with better side bolstering. The four spoke steering wheel may have a dated design, but it offers a good grab and can be also adjusted enhancing the comfort. You seat pretty high from the ground, which gives you a commanding view of the road and a top notch visibility. The storage department is pretty poor represented and except for a big glove box and a set of door pockets there isn’t much else that worth to be taken into consideration. The Blizzard provides a complete in-car entertainment system comprised of an MP3 capable CD player, a radio, USB connectivity, SD card slot and four speakers. Other features include power door locks, power windows, keyless entry, alarm system and power exterior mirrors. Open up the hood and you’ll find a 2.8 liter turbo diesel engine which delivers a maximum output of 92 hp with 202 Nm of torque. 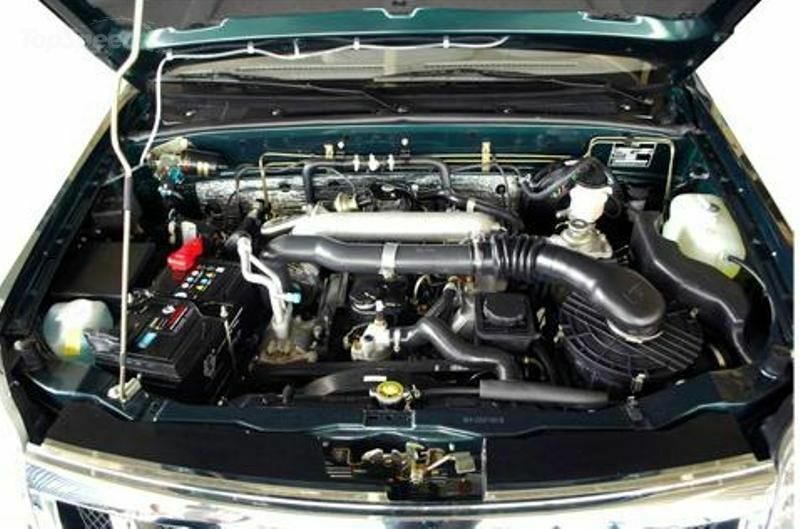 The engine is married to a five speed manual transmission which does its job pretty well. The turbo diesel offers a decent response and the turbo kicks in after the 2500 rpm mark. You won’t have any significant complains when carrying heavy loads either as after you’ll push the throttle, the pickup accelerates pretty fast. The 4x4 models have a great grip and will keep you far from trouble every time you need to deal with muddy or other difficult terrains. Like most current four-wheel-drive pickups, you can activate the center differential through buttons on the dash. Unfortunately the engine is anything but smooth and its metallic growl fills the cabin like it owns the place. The Foton Blizzard rides on front Macpherson independent struts and rear semi elliptical leaf springs with two way telescopic shocks. Don’t expect to any sort of comfortable ride, as the rigid axles are translated into a stiff and bouncy driving experience. The steering fells a bit too rigid, but you’ll get used to it pretty fast. Body lean is reasonably kept in check and the truck stays pretty well planted on its wheels, dealing great with off road driving too. You can also rely with confidence on Blizzard’s brakes as they have ample stopping power, yet the pedal feels a bit too soft for our tastes. ABS is standard equipment on the 4x4 variant as a safety feature. The Foton Blizzard is a basic work horse which reminds us of the old legendary pickups that were solely designed for utilitarian purposes. The build quality isn’t at the same level as Toyota’s pickups, but it’s not too bad either. The cabin is pretty spartan but it has anything it needs to offer a reasonable driving experience and it’s also fairly spacious. The engine is average, but it can deal with anything you’ll ask of it. The ride and handling aren’t something to rave about as they are pretty agricultural. In the end you’ll get what you’ve paid for and the Foton Blizzard offers a pretty reasonable trade being able to get the job done without all the bells and whistles of its more upscale counterparts.